I have been hearing really good things about Ole! Ole! and being housed at the Chilli Pickle's former home, I was hoping some good food vibes from the former owners was residual in the walls of the place. The welcome looked warm from the outside and I love the slightly hidden gem quality of the location. Inside, helped by a jug or two of Sangria, you could get yourself into a serious holiday mood. Ole! Ole! 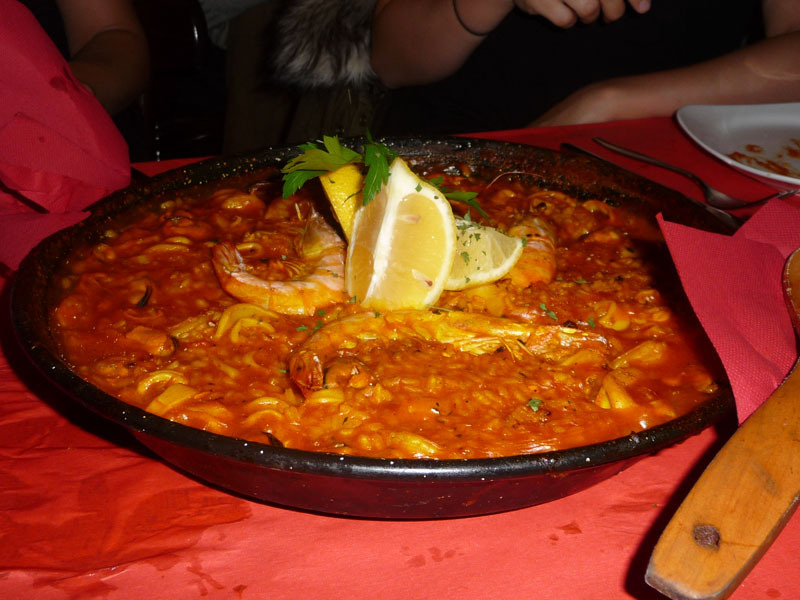 is decked out in typical Spanish restaurant style, including the scarfed uniformed waitresses. Luckily it just keeps on the good side of tacky. Just. I think the fact that all tables were of four people or more diners speaks volumes about this place and this isn't somewhere I would dine as a couple. I think people genuinely have a really good time at this restaurant, fuelled by the energetic live flamenco sessions, which get practically everyone up dancing by the end of the evening. And there's nothing wrong with that. I had a GREAT time. There should be more dancing in restaurants I say, but the fact that a good time is had can muddy the perception of how good the food itself actually is. Sadly, although my mind had drifted off to holidays past, my tastebuds hadn't been transported anywhere. There was nothing particularly wrong with any of the dishes, but there wasn't anything remarkable either. 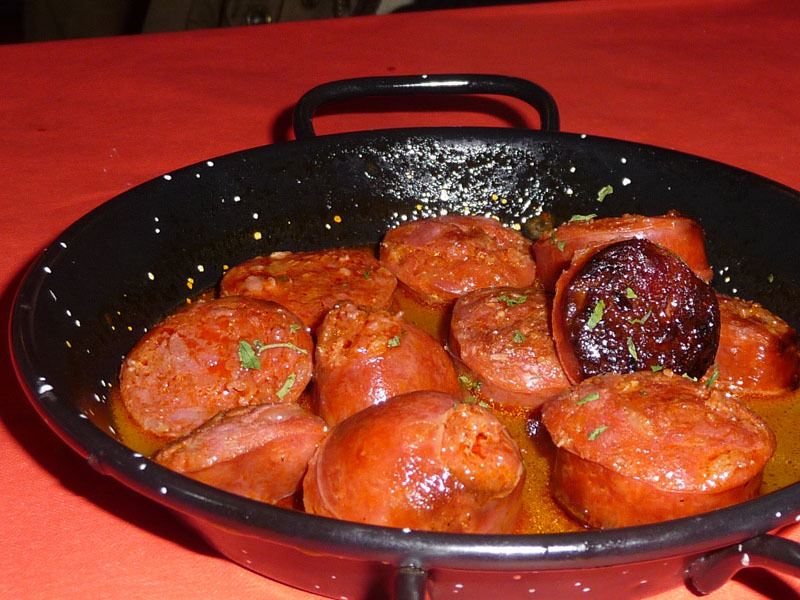 Tortilla, slightly soggy calimari, perfectly munchable ham croquettes, spicy patatas bravas... yep ok, the chorizo in cider was tasty (if slightly burnt on one side) but who can't pan fry chorizo in cider? 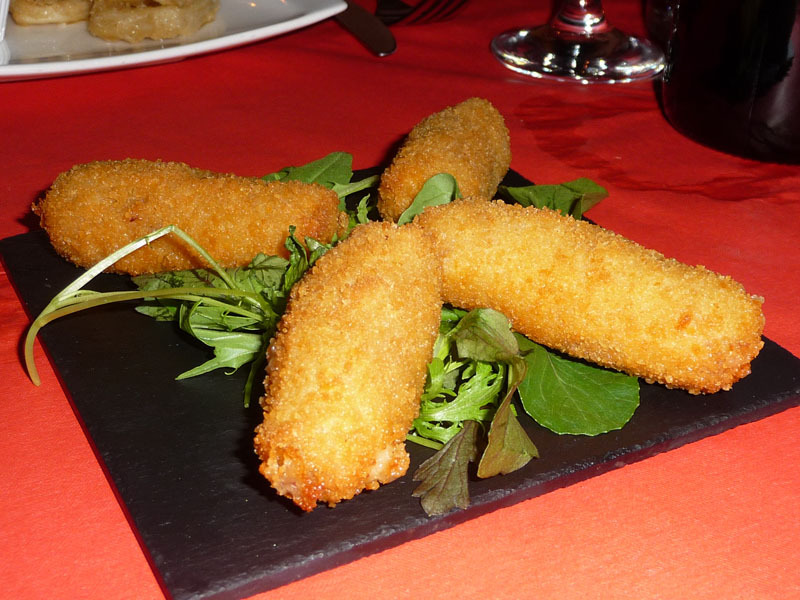 All of the tapas is your usual tourist fodder, nothing inventive or creative. The seafood paella was nice. Tasty, generous mix of seafood. Yeah, nice, ok but at £14 odd a portion, it needed to be. I wanted padron peppers, marinated Manchego, octopus, scallops, sardines, and some nice twists on them too. I wanted sherry! Can you believe there was no sherry? The horror. 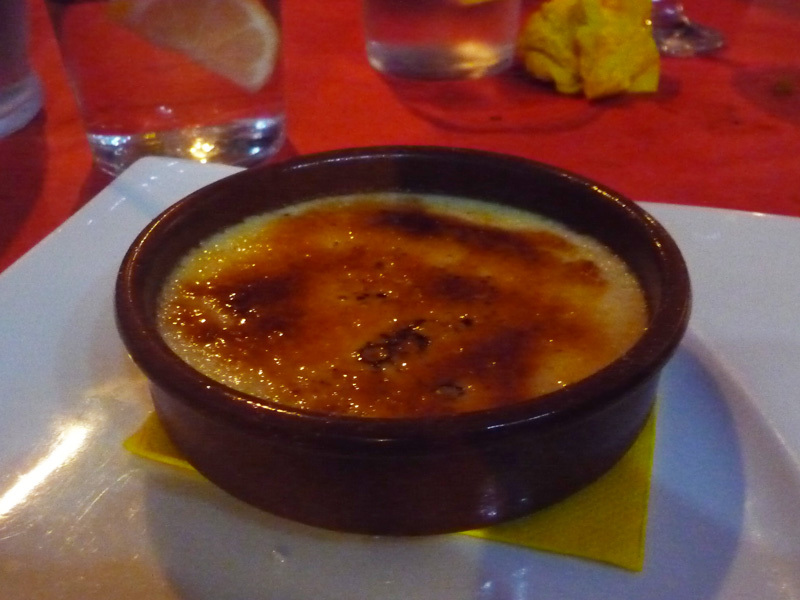 Desserts were the usual too, I had the Crema Catalana. It was...nice. Service was well paced and friendly. 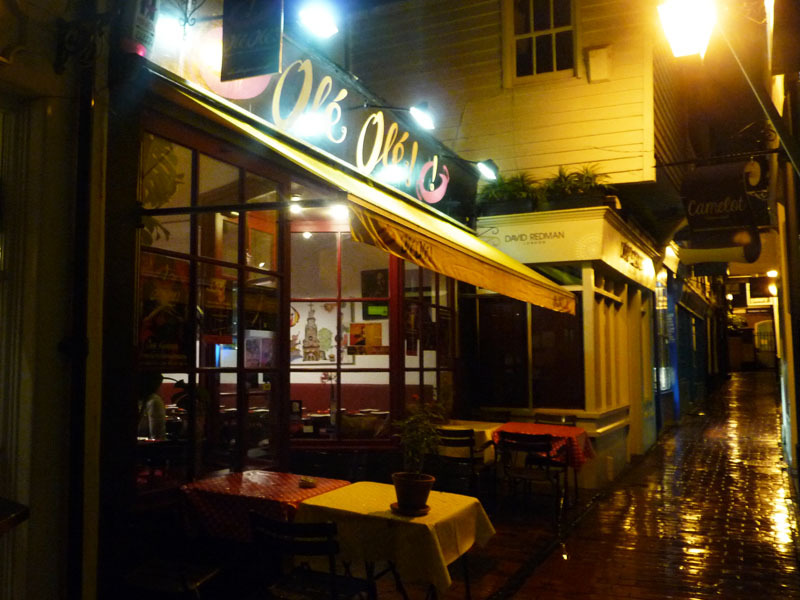 I guess the problem I have with Italian restaurants in the city is the same problem I had with Ole! Ole!, it's just a manilla representation of the cuisine, not really an exploration of regional dishes, nothing groundbreaking, nothing educational. But I think that's what the general public want, with the minimum of fuss, just a reminder of Spanish coast package holidaying. I don't mean for this to be a bad review as there wasn't cause for complaint. By all means go, have fun, marvel at the slinky hips of the flamenco dancers, get up and dance yourself. You'll like it. You'll tell your friends about it. 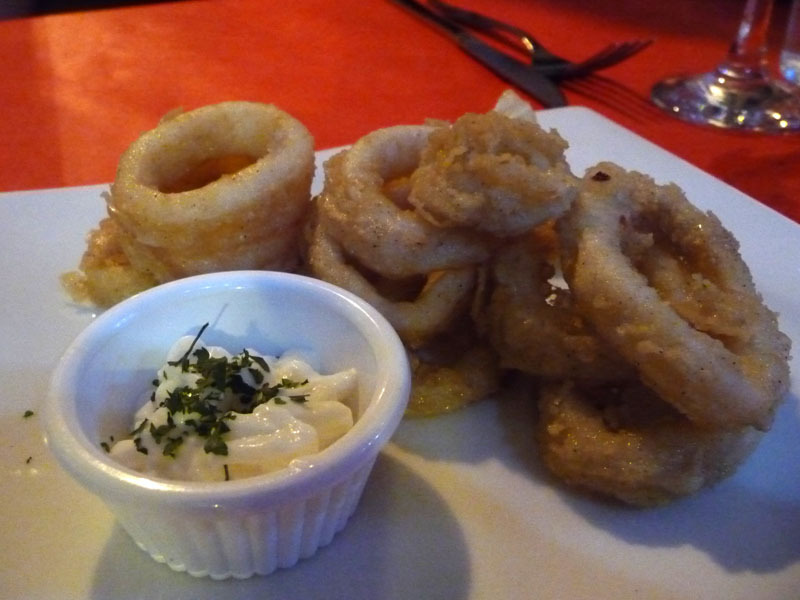 Just don't go expecting more than a tourist taste of Spain on your plate.